Glühwein, a traditional German holiday market hot spiced wine, is served and "perfected to please the palate and warm the heart," the market say of the popular item. Christkindlmarket will not be returning to its suburban location this holiday season. A spokeswoman for Naper Settlement said the annual German holiday festival won't be taking place this year in Naperville, where it's been held since 2016. "It was a great event and we take this moment to thank all our visitors for coming to celebrate the holidays with us," Naper Settlement President and CEO Rena Tamayo-Calabrese said in a statement, adding that the outdoor museum wished German American Events, the company that puts on Christkindlmarket, "the very best in their future endeavors." German American Events CEO Maren Biester Priebe echoed that statement, saying the company was "thankful for the support of our visitors, the Naperville Heritage Society, and the City of Naperville." The statement gave no reason for the festival's departure from Naperville, but said Naper Settlement was "in conversation to develop a new holiday experience" for the winter. 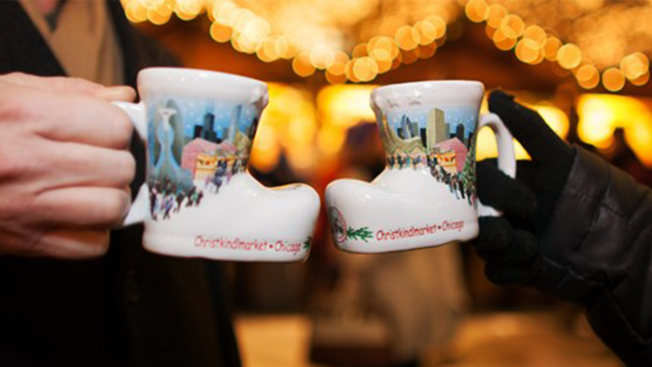 Christkindlmarket has been a holiday staple in Chicago's Loop for 19 years, featuring a variety of German beer and spiced wine, live performances and holiday vendors of all kinds. For more information, visit christkindlmarket.com.